Supported by a local Friends chapter and ocated south of Savannah on the banks of the Ogeechee River, this scenic park showcases the best-preserved earthwork fortification of the Confederacy. The earthworks were attacked seven times by Union ironclads but did not fall until 1864 -- ending Gen. William T. Sherman’s “March to the Sea.” Visitors can explore the grounds with cannons, a furnace, bombproof, barracks, palisades and more, while a Civil War museum contains artifacts, a video and gift shop. Nestled among giant live oaks, Spanish moss and salt marsh, this park is a beautiful location for camping, fishing, boating and picnicking. Three cottages sit on stilts near the marsh, surrounded by palm trees and palmettos. The shaded campground is bordered by tidal Redbird Creek, a boat ramp, fishing dock and nature trail. A large picnic area offers river views and playgrounds, while another boat ramp provides access to the Ogeechee River. Ft McAllister's 1st Volunteer Day of the Year! 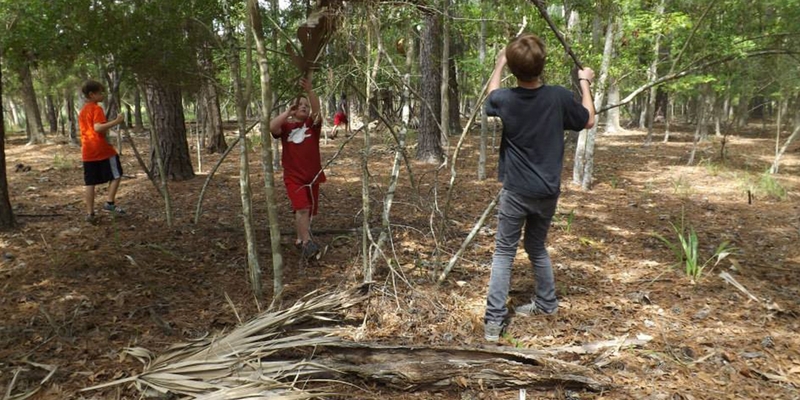 Fort McAllister State Historic Park’s first major volunteer day of the year is coming Saturday, April 5th from 9:00am-3:00pm. The Civil War Trust Volunteer Day is a day devoted to cleaning up the park while, at the same time, preserving the cultural heritage and historical significance of the Fort. Admission to the park and to the Fort for the day will be waived for all volunteers. And, in order to thank each of you for serving in such a meaningful way, lunch will be provided to all hard working volunteers! What's in a Historic Park?